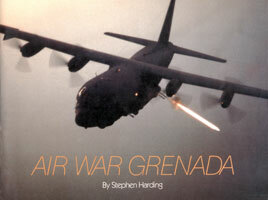 Operation Fury, the October, 1983, invasion of the island of Grenada by U.S. and Caribbean forces, was a campaign whose origins, conduct and outcome were greatly influenced by the capabilities of modern aircraft. This book is a pictorial record of the activities of Air Force, Navy, Marine and Army aviators engaged in the initial assault on the island. 56 pages,SB, 11x 8.5in, 62 Black-and-White photos, 8 Color photos, Maps.